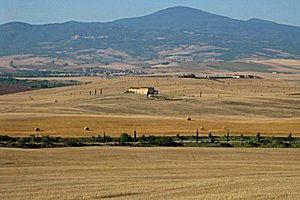 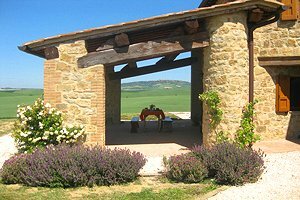 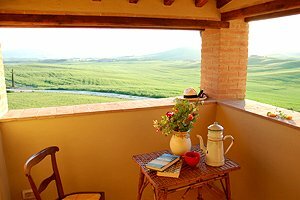 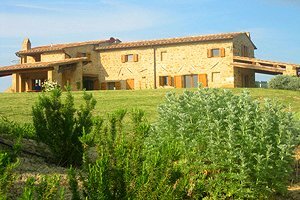 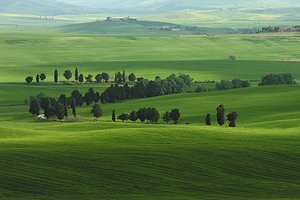 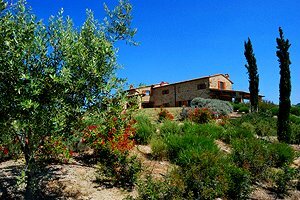 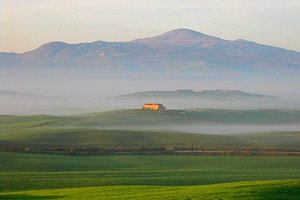 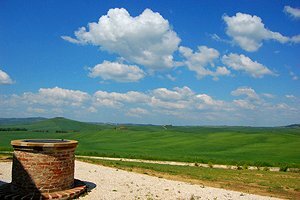 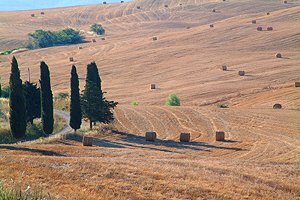 The villa is situated in Val d`Orcia Natural Park, in Monticchiello, just a few kilometres from Pienza (Siena). 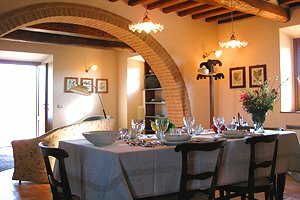 The elegant 17th-century villa stands in a UNESCO World Heritage site. 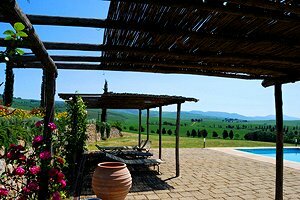 The villa is surrounded by a 10,000-square-metre garden. 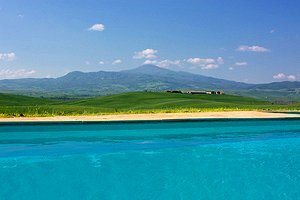 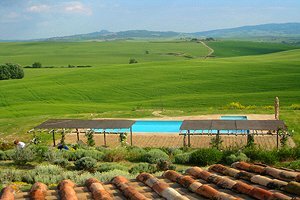 Here lies the private panoramic swimming pool (5x14 m; depth: 1.40-2.40 m), which commands the gentle Val d`Orcia hills. 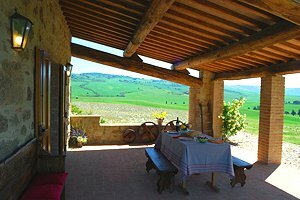 The porch next to the villa is furnished for having meals al fresco. 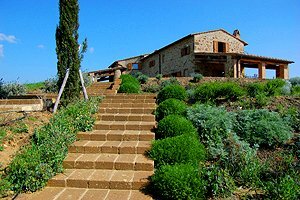 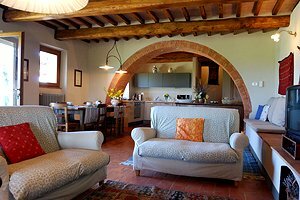 The ideal accommodation for those who love spending their holidays in close contact with nature, the villa is also an excellent departure point for visiting many Tuscan cities of art, including Siena, Montalcino, Montepulciano, Colle Val d`Elsa and Florence. 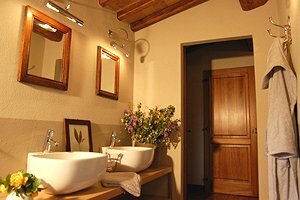 Those who prefer to dedicate to their well-being can visit the spas in nearby Chianciano Terme and Bagno Vignoni. 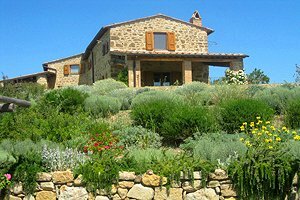 The villa is divided into two independent two-storey apartments; it sleeps 8+2 guests in 3 twin bedrooms, 1 double bedroom and 2 supplementary single beds, and has 4 bathrooms and 2 half bathrooms. 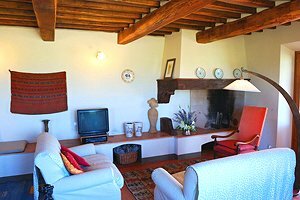 The apartments are furnished with period items. 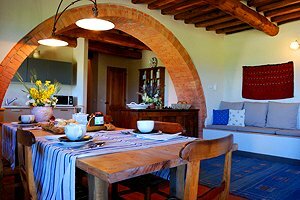 The ground floor of each apartment composes of kitchen, living room with dining area and fireplace, and a half bathroom. 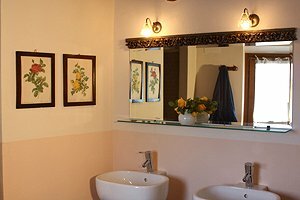 On the first floor there is the night zone, which includes two bedrooms, either with a double or two single beds, with ensuite bathroom in each apartment. 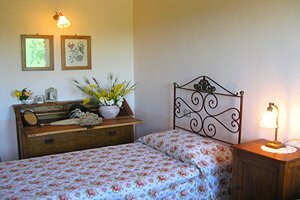 Two supplementary single beds can be added in any room. 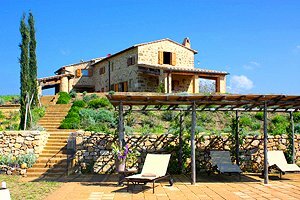 The villa is equipped with swimming pool, barbecue, working fireplace, air conditioning, satellite TV, Internet connection, DVD player, oven, microwave oven, washing machine, dishwasher, cot beds, and private car parking place. 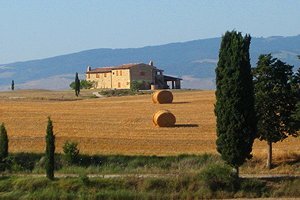 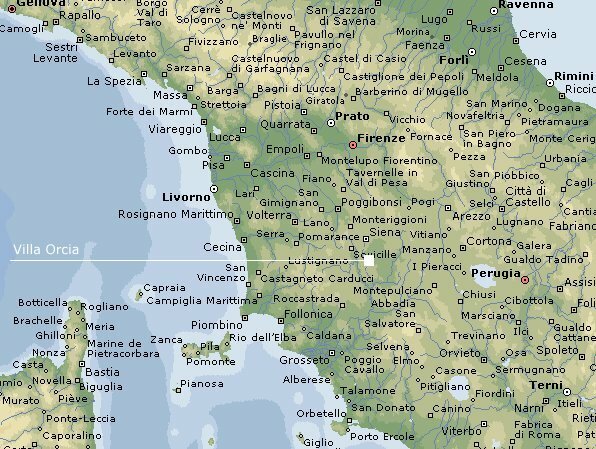 Shops and services of any kind are in Monticchiello (4 km) and Pienza (6 km). 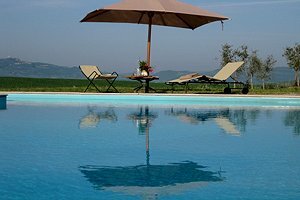 Bagno Vignoni spas are 6 kilometres from the villa, whereas Chianciano Terme spas are 10 kilometres from the estate.